At the end of last year I let my fellow gaming bloggers lure me into trying to make some predictions about the upcoming year for the first time. I figured that my guesses were all super boring and more or less guaranteed to come true. I'm surprised by how wrong I was! Let's review the predictions I made about what was going to happen to SWTOR in 2018 one by one. My first and biggest prediction was the one I was sure was pretty much a given, at least the part about us getting an expansion, and I was completely off, as we're actually no wiser about 6.0 than we were a year ago. My proposed theme, which was the most "daring" part of the prediction I suppose, also turned out to be moot as they actually ended up wrapping up the entire Zildrog arc in the Nathema Conspiracy flashpoint. I honestly thought at the time that there was going to be much more to it. I will give myself points for the master mode prediction though, because while it has come out now, it did take many months and was even supposed to have been cancelled for a while. I don't think the nerf to veteran mode has been as substantial as I would have liked, but it did happen despite of Bioware initially not wanting to do any nerfing at all. Again, we didn't even get an expansion, but even if we leave that aside I don't think they did anything super weird this year either. In actuality I thought that all their content additions and systems changes were fairly safe and predictable. I suppose the whole masterwork gear thing added with Ossus is slightly strange in that "did anyone ask for this" kind of way, but I suspect it's meant to be a response to people wanting crafting to be more relevant again as well as moving even further away from Galactic Command, both of which are things that people have expressed a desire for. I suppose you could argue about what qualifies as "a lot" but they certainly did add a whole bunch of new conquest objectives. And the new system is definitely much more rewarding for smaller and medium-sized guilds. As I acknowledged at the time though, this was a bit of a non-prediction. Even this was kind of wrong, as the Alliance has been neither disbanded nor become irrelevant. Its importance has been greatly diminished, but it does remain a relevant player on the galactic gaming board, even if the focus is moving back Republic vs. Empire now. Now, while this was pretty fun to review, despite (or maybe even because) of all the ways in which I was wrong, I don't think I'll be repeating this whole prediction thing this year. I did actually start a draft post trying to write down some guesses and ideas for things we might see in 2019, but to be honest I couldn't think of much to say beyond "we'll get an expansion in 2019, for real this time". I better not be wrong about this one a second time! 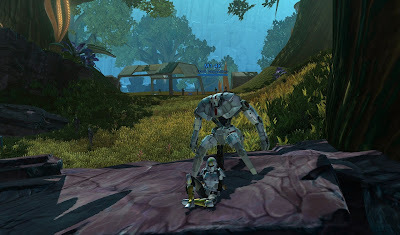 Back when SWTOR came out, I didn't even manage to go for a full week before I had the urge to start blogging about it, and well, here I am seven years later. That said, I've been less prolific in 2018 than in previous years - most years my post count for the year seems to average around 111, (123 if you include the unusually busy 2012 and 2016), but this year I'm only just making my 100th post. Mostly I continue to blame my current place of employ and the annoying commute it forces me to endure, but to be honest I'm just generally trying to do too many things at once. Not only do I want to write about the game, I also want to make videos about it every now and then, and this year in particular I've also spent more time than ever just playing, what with the many Conquest events in which my guild decided to compete. I'm not very good at cutting back on things in a sensible manner, I just find myself suddenly running out of time while trying to do ALL THE THINGS and then get somewhat annoyed with myself. Anyway, you don't read this blog to hear me moan about my first world problems, not to mention that my chosen country of residence seems to be close to descending into anarchy, so who knows where I'll be this time next year... let's look back at what I blogged about in the past year instead; that's much more fun. 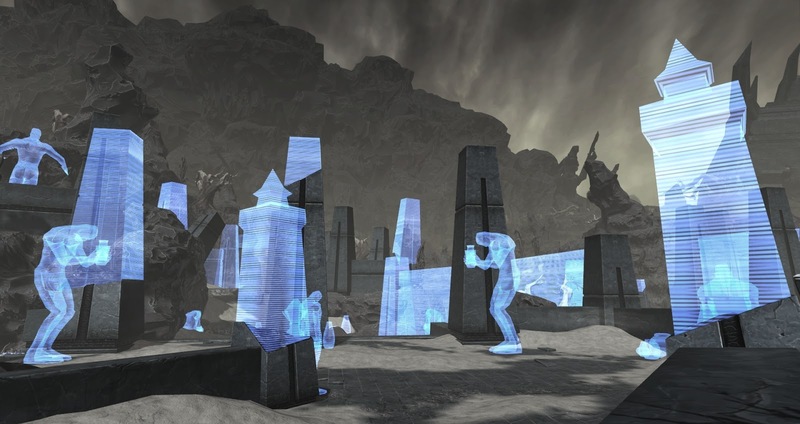 I started the year with a love letter to my favourite warzone, which is criminally underrated by most players. I was somewhat baffled to find that I'd apparently never done the Korriban Incursion flashpoint on master mode on Imperial side, and I started my journey to complete all the KotFE / KotET chapters on master mode. 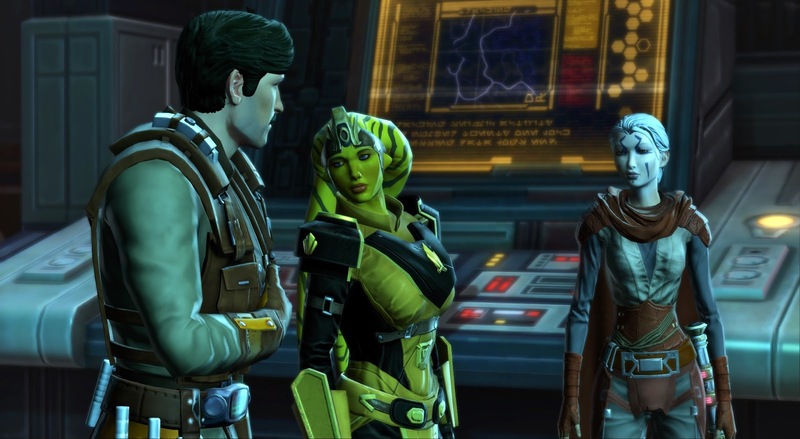 For anyone who might be waiting for me to post about the last few chapters of KotFE by the way, I haven't forgotten about them; I just need to actually write the post about chapters 12-14, which I've already completed, and then still play through 15 and 16, which I expect to be toughies. I also noted the day I reached Command rank 300 on my 9th character. For the record, not even a full twelve months later, I'm on 16 characters at that level, and I gave up on actively trying to level them up long ago... it just kind of happens now as I play. 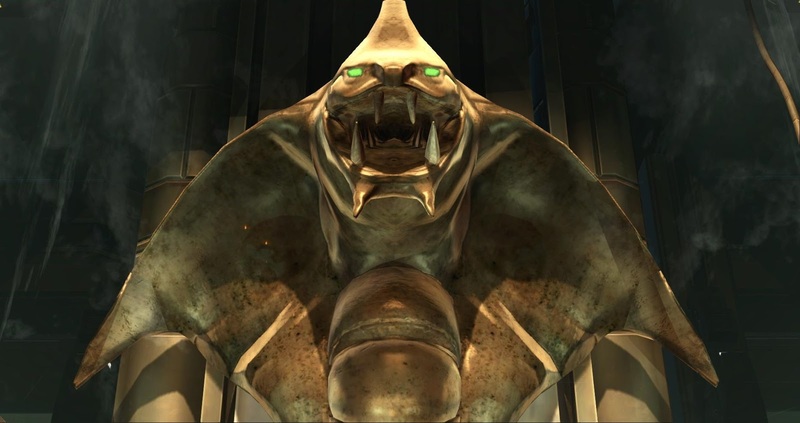 In February I wrote about the third and fourth boss in Gods from the Machine, about whom I felt very ambivalent. We also got a spring road map, and I revisited all the repeatable world events, in which I previously hadn't participated in ages (something that Conquest would soon change though). I also made a compilation video of Pugette's flashpoint pug adventures, which I'm still proud of. In March I expanded my in-game horizons (literally), and was excited to kill Izax for the first time when Gods from the Machine was finally completed. 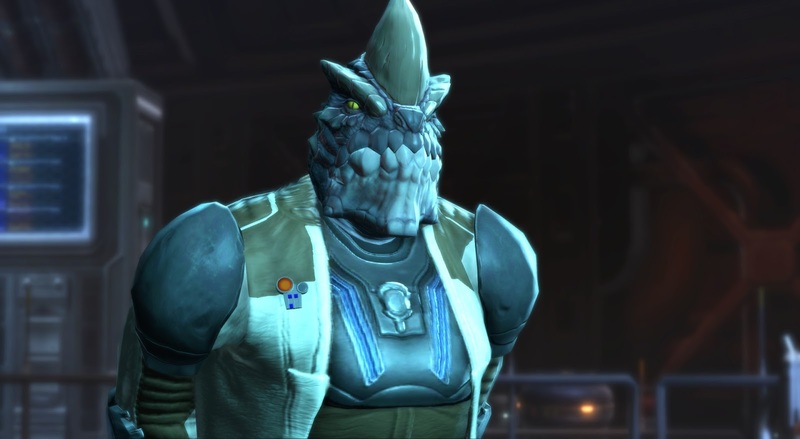 Bioware held a sort of event on social media, which I thought was kind of entertaining. They haven't done anything comparable since then though, so I'm not sure it achieved what they were going for. 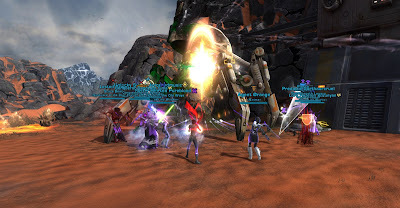 Conquests were revamped and despite of many people being critical about it at the time, it rang in a whole new era for my guild in terms of Conquest participation. April started with the Big Cartel Market Spring Sale getting even me to take an interest in what was on offer. (I hope they bring it back some time.) 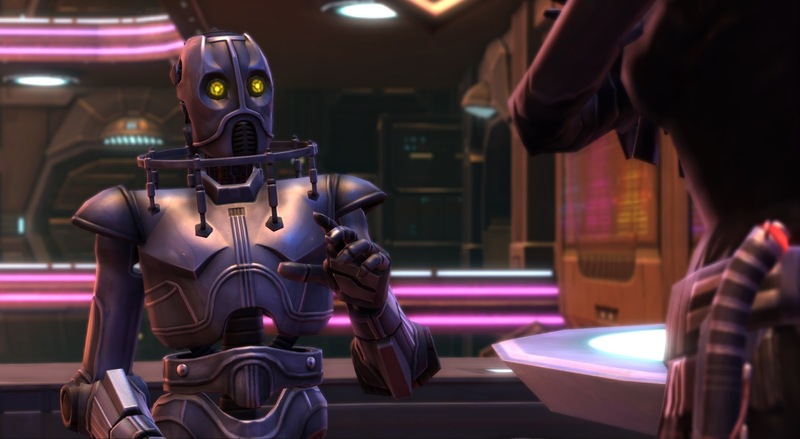 I mused on the subject of story gating in SWTOR and wrote about some of the new class-specific companion returns. 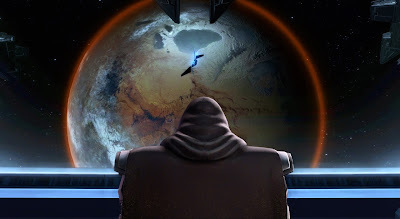 Despite of my enthusiastic finishing comment about wanting to complete KotET on the classes I was still missing to see their new companion missions, I've failed to make significant progress on that front ever since. I started on Pugging with Shintar season 2, a project that has been sorely neglected in the past couple of months due to the factors mentioned at the start of this post. I also talked about how my guild was doing just peachy despite of its age. 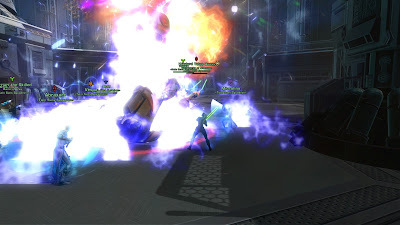 In May I discussed both the mechanics and the storyline of the new Nathema Conspiracy flashpoint in detail, while I started June expressing happiness about my guild putting more focus on 16-mans again (we've actually been able to keep this up and they are now a fixed part of our raiding schedule for one week each month). 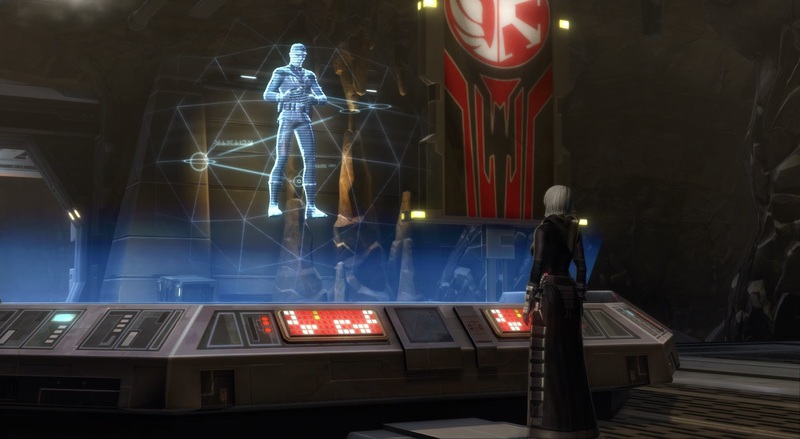 Conquest received further tweaks, and PvP was scheduled to receive some big changes. 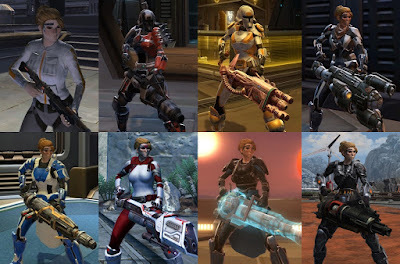 I expressed my thoughts on these and waxed nostalgic about what kind of changes SWTOR's warzones had gone through over the course of more than six years. July saw me visiting the PTS and talking about beating the Terror from Beyond on master mode. My guild also conquered its first planet since the introduction of the new Conquest system, with many more to follow. In August I participated in Blaugust and killed the Yavin walker for the first time, three and a half years after it was added to the game. I also talked about the big PvP changes once they'd actually been implemented and had a look at the new Rishi stronghold. In September we got another road map, and I decried the way Conquest had caused me to neglect my Imperial alts. 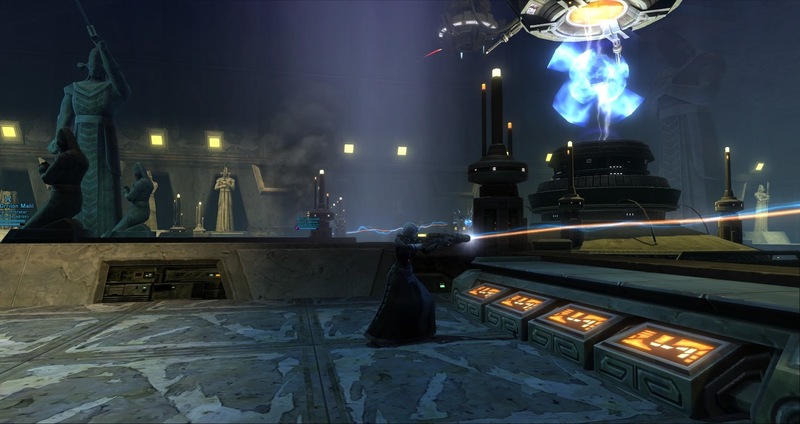 I also defeated Revan in the Temple of Sacrifice operation on veteran mode for the first time, which was a big deal for me. 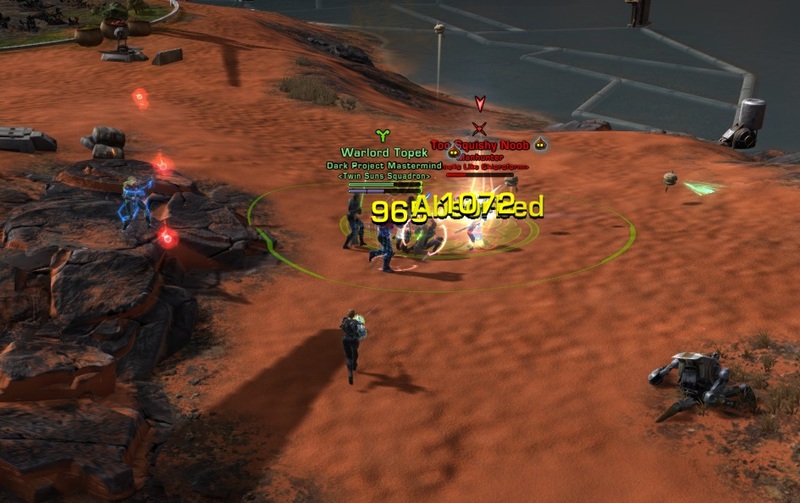 October saw me having some fun on the new Huttball map and thinking about how I'd been spending more time playing in planetary PvP instances lately. I also solved the problem of the neglected Imperial alts by making my guildies go on adventures in our Imperial alt guild. November's posts were dominated by me participating in IntPiPoMo again, though I also got nostalgic for a bit, both about marketing hype after listening to an old podcast as well as about what I consider SWTOR's golden launch days. Finally, I used December as an opportunity to review how the game's approach to dailies has changed over time, and when 5.10 finally launched I reported on the launch day, the Ossus story and both new and returning characters. Whatever else happens, I'm sure the next year will provide me with plenty more subjects to write about. Another thing I've loved about the Jedi Under Siege story is how much obvious attention to detail and love has gone into all the characters that feature in it. It's as if Bioware sat down with a list of "NPC slots" they had to fill ahead of time and thought long and hard about where and how they could re-use existing characters, and if they did decide to introduce someone new they took extra care to make them interesting and likeable. There will be spoilers for both factions here, so proceed at your own risk. 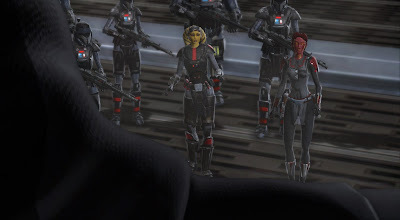 As an example of re-using existing characters, the introductory Republic mission is given by SIS agent Jonas Balkar, a recurring character from the trooper story. My Commando only had to wait nearly seven years to get another shot at flirting with him, but it was definitely worth it! 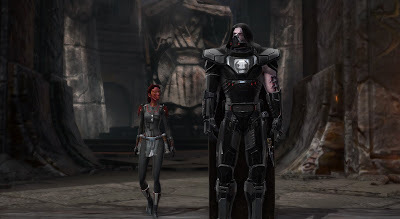 Meanwhile on Imperial side, you get briefed by NR-02 of Black Talon fame. The fact that he greeted me as "the hero of the Black Talon" should have been a dead giveaway, but I actually didn't recognise him the first time around because he now has a different chassis! Wonder how that happened? 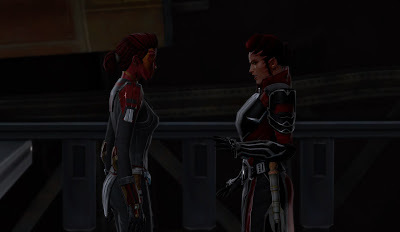 The Imperial briefing then continues via Moff Pyron, formerly a loyal servant of the Sith inquisitor. More good times with personal references if you're the right class! Republic players are introduced to their first new character in the form of General Daeruun. 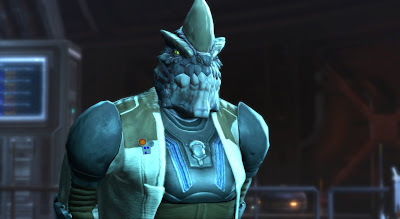 I have to admit that I wasn't too keen on him based on the previews for the simple reason that I think his species looks quite ugly (and unlike some people I don't have a fetish for weird-looking aliens). But then he started talking and I was charmed almost instantly - he's got something avuncular about him, which is not usually a trait we see in military commanders. The funniest thing was that I took note of his really excellent voice acting but didn't realise that Darin De Paul had once again made a comeback! I'm sufficiently well-attuned to his evil Valkorion voice by now that I instantly recognise him in similar contexts, such as this WoW video, but hearing him voice a genuinely nice character talking about his love for tea caught me completely off guard it seems. Darth Malora ultimately has only a surprisingly small role to play considering her prominence on the poster art, but I still think it was clever of Bioware to re-use a character from a low-level side mission here instead of just creating some new random Sith, as it makes the world as a whole more cohesive and gives meeting her a slightly personal note. 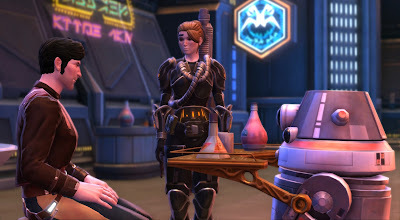 The game was thankfully also very good at remembering for me just how that mission on Korriban had gone back then... it's not like I actually remember every decision I've ever made in some side quest five years ago! Simply choosing the dialogue option that acknowledges that you know her makes the relevant things come out of your character's mouth. Phew! 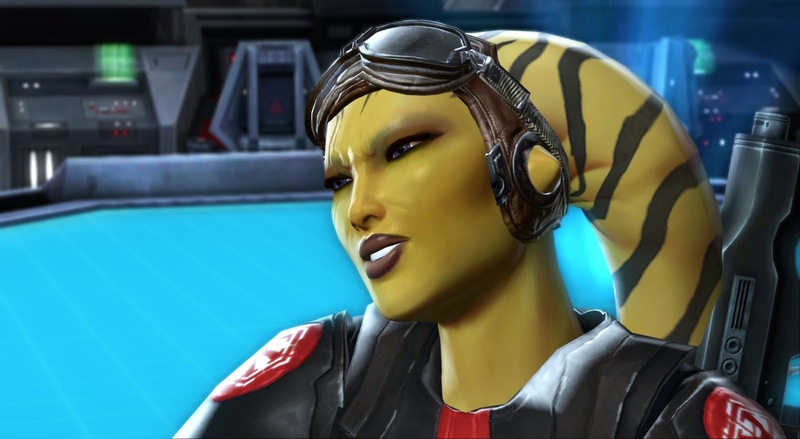 Major Anri the twi'lek soldier is probably my favourite of the new characters. Let's just say that as someone who's mained a trooper since launch I've always found it interesting that there was no Imperial story mirror to my class. I suppose the closest is actually the Imperial agent... but I think the main takeaway is simply that as a front line soldier you basically can't be a hero in the Empire, and we don't get to see the point of view of the common soldier very often. The closest was probably in the form of the warrior companion Lieutenant Pierce. 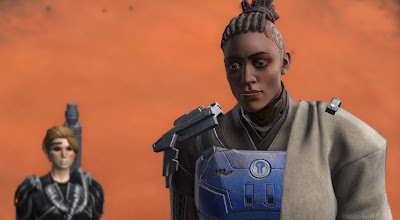 Anyway, the point I'm making is that I loved meeting this soldier who's blunt, honest, competent and funny, and getting more insight into how things look from the perspective of someone who all too often finds herself at the mercy of the whims of the Sith. In a similar vein, I loved the way the rescue of Anri's sergeant Brax goes. When she starts off mentioning that he might be dead or alive, I fully expected it to go the way oh so many missions of this type in SWTOR go, where you find nothing but a body and a datapad at the end. But no, Brax too is shown to be surprisingly competent at staying alive, and I thought the conversation that ensues afterwards in which he appears to be kind of embarrassed by the "celebrity rescue", as Anri puts it, was utterly adorable. 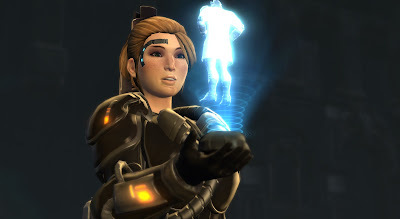 Meanwhile on Republic side, we have Jedi Tau Idair, who to be honest didn't resonate with me that much, as I kept wondering how in the world she ended up wearing half a robe. However, she's not a bad character by any means. I did love Doc and Nadia's involvement on Republic side however. Again, they didn't actually play a large role, but just using characters that the player would recognise gave the whole situation a lot more weight. I haven't done the story on a Sage yet, but on my knight I was highly impressed by how much personalisation they added to the dialogue. 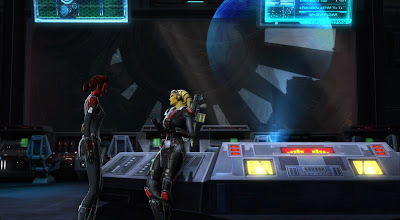 Even though he doesn't actually join you until later in an Alliance alert, Doc basically keeps going on about how awesome it is to see you again, how you'll totally save the day etc., which was both entertaining and seemed very natural under the circumstances. Even Nadia, who obviously didn't know my Guardian personally, commented on recognising her as previously well-known Jedi. Boy, am I ever going to have a lot to say about this patch! But since a lot of it is spoilerific and I want to wait a bit with discussing spoilers, let's start by talking about a few technicalities. While the servers were down for patching, my guildies were joking in Discord about just how long the downtime was going to last. 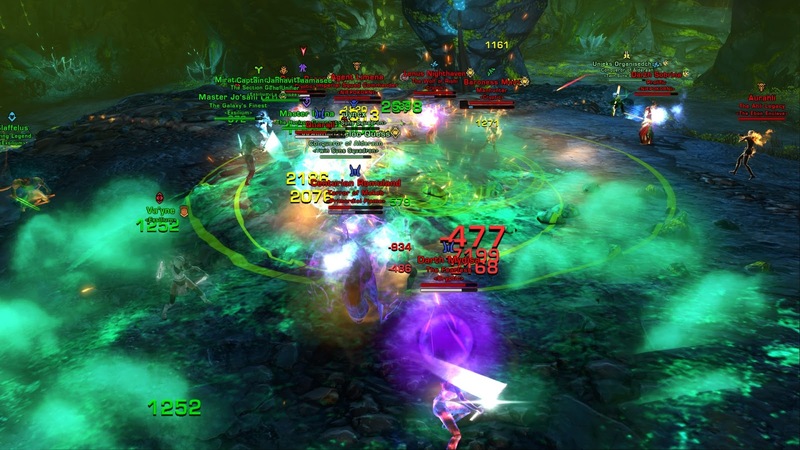 When the servers came up an hour early, it was my guildie Araf who uttered the in my opinion most prophetic prediction: "I won't be surprised if they shut them down again in an hour or two after finding a new hot exploit." And indeed, it didn't take thirty minutes for the servers to go down again, with a note on Twitter that they had found a "potentially severe issue". Basically what happened is this: One of the new features of this patch is that the new story offers an auto-complete option for KotFE and KotET. If you want to just do the new stuff, without worrying about having to play through anything that came before, you can go right ahead and the game will pick some default options for you as far as story-relevant choices go. Now, the problem was that for some reason this process actually triggered for all characters the moment they started the new story, even if they had actually completed the previous storylines, effectively overwriting the player's choices with the new defaults. I saw some grumbling about this ("Isn't this what the PTS is for? "), but in all fairness, I could sympathise with Bioware on this one. It was a bug that was triggered by the new story content, which hadn't been on the PTS, and while they obviously must have done some internal testing, I could easily see how this sort of thing could have been overlooked. If your chosen character had made the most likely choices, the default overwrite wouldn't trigger any noticeable changes, but even if it did, you would have had to immediately inspect your giant companion roster to notice any odd changes, unless they specifically affected a companion that you were actively using at the time. It was still a pretty embarrassing bug to go live with, considering it was the kind of thing that was noticeable immediately with thousands of people jumping into the new story at once; I'm just saying I kind of feel for Bioware here anyway. Also, to give credit where it is due, Eric Musco was very good at keeping everyone up to date on their progress via Twitter, they did a full rollback to make sure that nobody lost anything, and the three hours delay until the servers were back up for good weren't too bad in my eyes. I've seen much worse in any case. 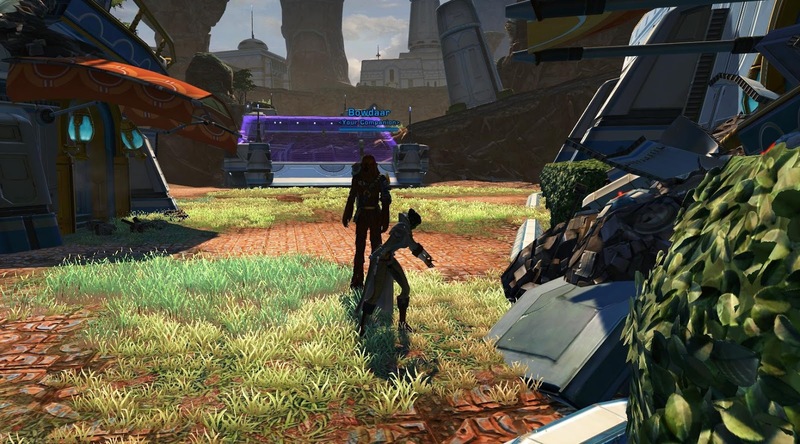 One thing that excited me about another open world story installment was that, like Iokath, it would enable me to play through it with my pet tank again. Sure, I expected there to be some personal conversations/phases, but that's something we've had since launch. That's always been a part of the game; I just don't want it to be all there is. Now, imagine my pleasant surprise when I found that Bioware had actually put some thought into this and tweaked the way the story phases work on Ossus. All the phases we entered for the Republic story were multiplayer phases, so that we could play together and share progress on quest objectives such as killing X mobs, but when we entered a cut scene we would each have our own personal conversation, just simultaneously - the best of both worlds really. The only downside was that about half of the time, the new system didn't actually work as intended and bugged out. Once my quest didn't progress after a conversation, and I had to walk out, wait for my pet tank to finish and then walk in again to redo my bit. Another time we got separated into our own phases for no discernible reason (the phase wasn't marked as personal), continued on our own anyway, but when I reached the NPC at the end it wouldn't let me talk to her as the game insisted that I was a guest in my own phase and therefore not allowed to talk to anyone. I had to quit the group altogether to finish that one. 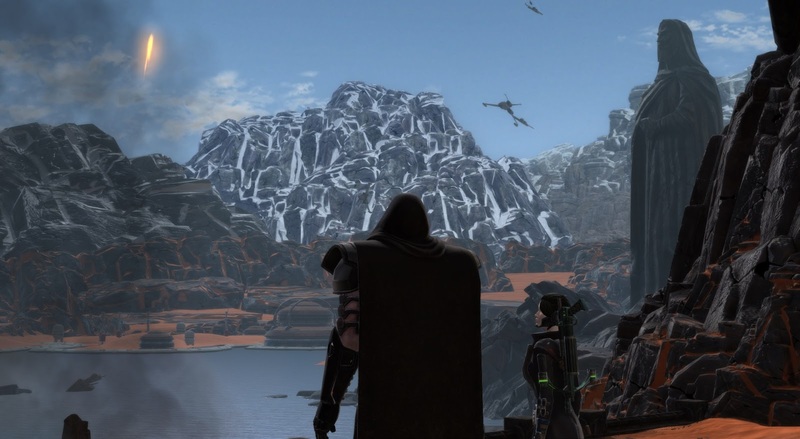 The reason I'm still giving Bioware so much praise even though it was far from a smooth experience for me and my pet tank in the end is that I could at least tell that they thought about how to make it a better experience for groups and tried, which is more than they've bothered to do since Shadow of Revan. 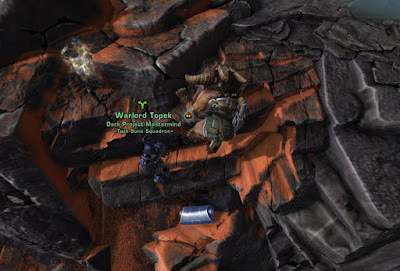 I've mentioned before that I've been habitually playing in the PvP instance in recent months, so when we got to Ossus my pet tank and I had to decide whether I would join him in PvE or he would come join me in PvP, and he agreed to do the latter. It was surprisingly fun! We got more than a dozen Imp kills while only dying once ourselves, and there were some pretty fun and memorable moments, such as the duel against an Imperial tank/healer duo that forced me to blow every last one of my cooldowns, or the time we got embroiled in a fight on a staircase carved into the side of a cliff and many bodies went flying to their death. With a name like that you're pretty much asking for it. It only slowed our questing down a little - it's not like we were actively looking for fights, we'd just spar with any Imps that crossed our paths and then moved on - and actually added a nice layer of RP-like immersion to the whole thing: When we saw evil Imps burning the Jedi's farms for example, we could and would actually run up and stop them. I have a lot of thoughts to sort out about the story, but that's for another post (or another two, or three...).